Unnecessary and useless items to get rid of during your spring clean. Here are five things all of us could stand to get rid of this spring. 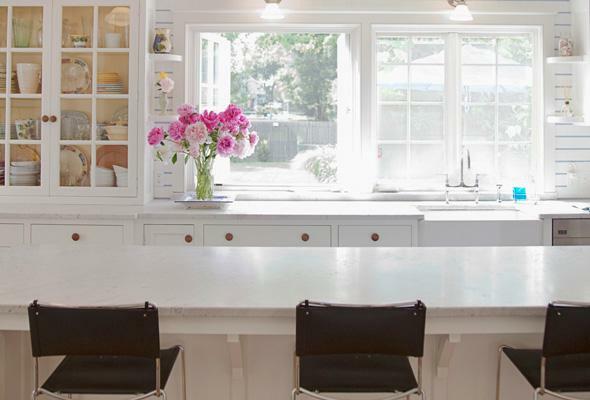 Start your Spring Cleaning in the kitchen by getting rid of mismatched plastic containers and lids, says Monica Friel, chief executive organizer with Chaos to Order, Inc., in Chicago. Sort through all your plastic storage pieces and throw out — or better yet, recycle — anything that doesn’t have a matching piece. This also applies to warped pieces since they’ll no longer work properly to keep food fresh. Many dream of the day their old “skinny” clothes will fit again, so they keep the items in closets and dresser drawers, sometimes for years. As Friel points out, however, “If you do get down to that optimal weight again in the future, chances are you’re going to go out and buy a new pair of jeans to celebrate.” While you’re working on losing the weight, go ahead and thin out your closet space to make room for your new wardrobe. It’s easy to forget that dry and canned goods go bad. While they do have a long shelf life, they should still be cleaned out on a regular basis. Check your pantry shelves and clear them of any items with expired “use before” dates. This advice also applies to items in the medicine cabinet. The effectiveness of all medicines diminish over time, so toss those items — per FDA guidelines — that have been around for a while. You might be surprised at how many duplicates you have of certain items — items that don’t really require a backup. “If you want to spring clean and simplify, you need to pare down,” Friel says. “This applies to foods, clothes, cosmetics, toys and so on.” Keep one and toss or donate the extras. As for the duplicate items you do need, Friel recommends storing them elsewhere. For example, keep one tube of toothpaste in the drawer and store extras in the cabinet. You see them so often you may have forgotten about them, but try to remember pillows when cleaning. They usually hang around much longer than they should. “Bed pillows should be tossed after 18 months,” Friel says.